The entire competitive Fortnite scene has led up to this moment: with a $100 million prize pool for the year and a full $3 million of that going to the Fortnite World Cup solo winner, this is the big leagues. Epic announced details about the Fortnite World Cup and its overall prize plans for 2019 today, including those dizzying prize figures, and you don't need fame to get a piece of the pie. 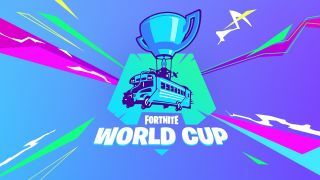 Your chance to secure a spot in the Fortnite World Cup will begin on April 13 and run to June 16 with ten weekly Online Open qualifiers for eligible players; that means you must have an account in good standing and be at least 13 years old (or more in some countries) to have a shot. Each Online Open qualifier will pay out a $1 million prize pool of its own to top contenders, and more weekly tournaments with $1 million in prizes will continue throughout the year. Once the qualifiers have run their course, the top 100 Solo players and top 50 Duos teams will be invited to the Fortnite World Cup Finals from July 26 to 28 in New York City. Everyone who makes it that far will walk away with no less than $50,000 in prize money, and yes, the Solo grand master will be showered with $3 million. That's a full tenth of the $30 million prize pool for the finals event. Even if you've long given up on your dreams of Fortnite Battle Royale stardom (I coulda been a contender, but at least I enjoy sucking at Fortnite), the finals will have additional events and challenges for visitors across a range of modes and formats. The whole thing will be streamed online as well, meaning you can look forward to three days of intense competition, counterplay, and the tilted-est towers no matter where you are in the world. Brush up on the fundamentals before you get playing with our how to play Fortnite guide for absolute beginners.